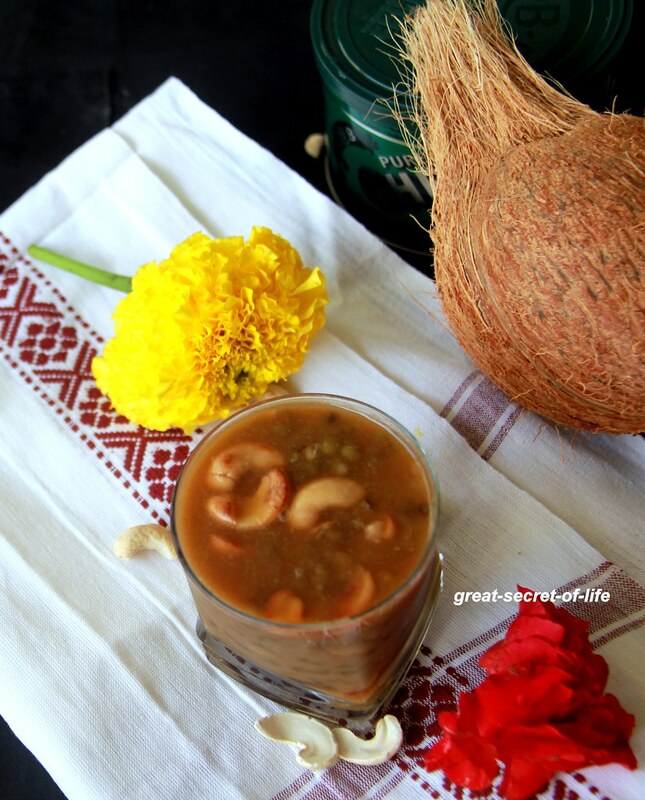 As I mentioned in my previous Kheer / Payasam posts Kheer is one fast and never go wrong dishes. It also provides options to be healthy too. 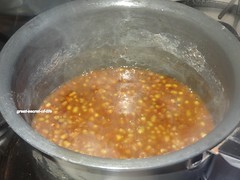 Recently I use Palm jaggery in my diet. 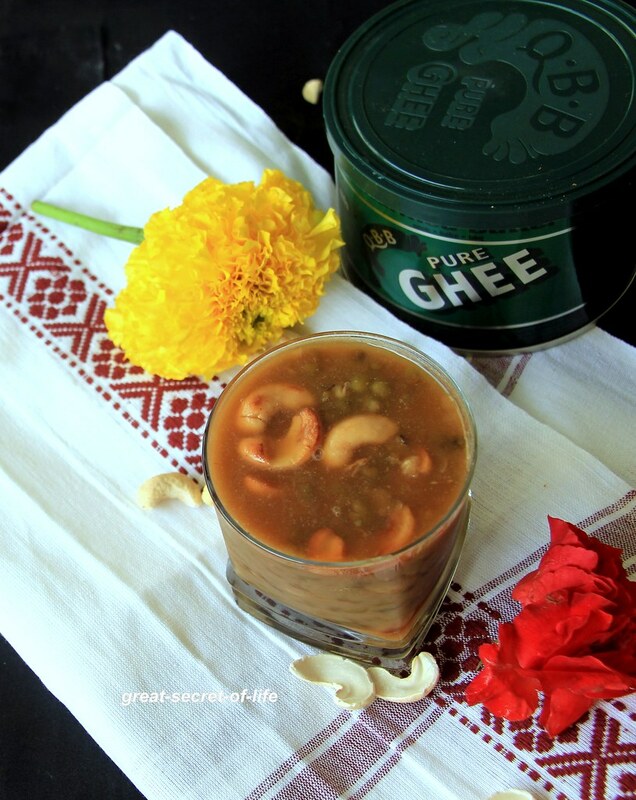 I feel my hemoglobin is getting better. Some of my friends also provided similar feedback. 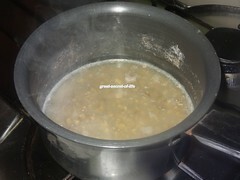 So for this festive season I wanted to try kheer with Karupatti / Plam jaggery. It tasted so nice (even though the color is not so appealing). 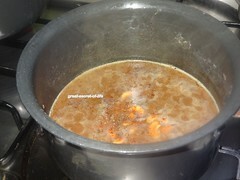 Palm jaggery provided a different / unique taste to Kheer. 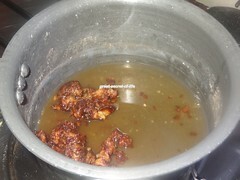 Heat palm sugar with 1/2 cup of water Once melted drain it to remove impurities. Keep it aside. 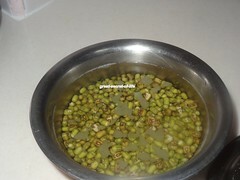 Cook the Green gram dal with pinch of salt. 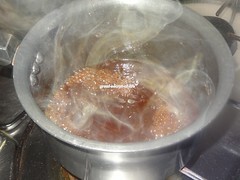 When it is cooked (when pressed with finger you can press it) Add Palm sugar syrup. 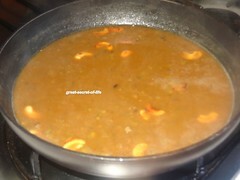 Delicious, I never made payasam with karupattai, I have seen people making it. 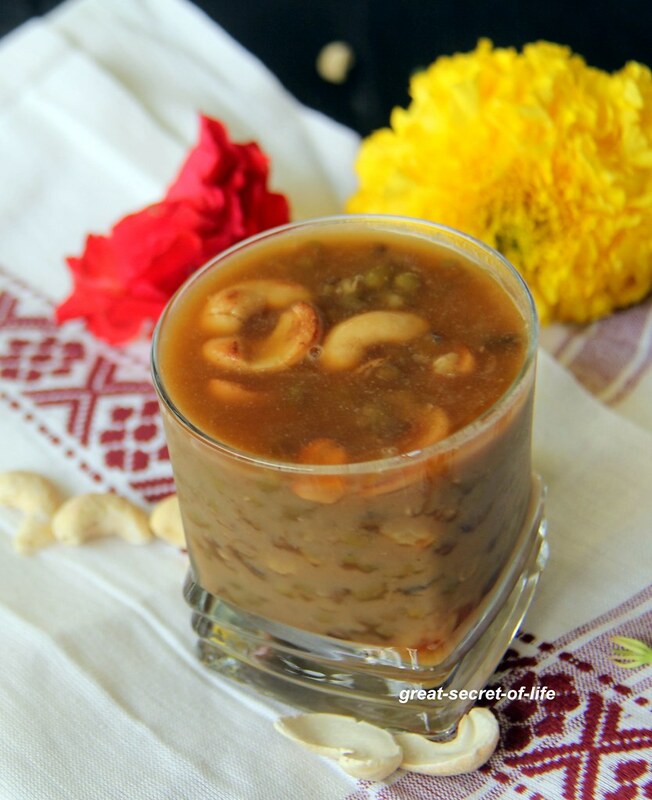 Delicious payasam, you have use whole moong dal, making the payasam more healthy..
lovely combo of green gram and karupatti! Yumm! !